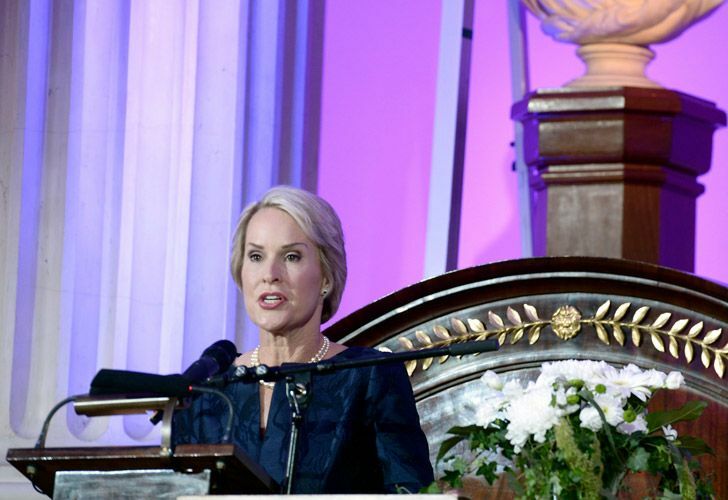 Frances Arnold was honoured for using evolutionary principles to engineer cancer drugs and biofuels at the 2018 Nobel Price ceremony on Wednesday. A scientist and engineer of the California Institute of Technology has become only the fifth woman to win the Nobel Prize for Chemistry in more than a century. Frances Hamilton Arnold, 62, was recognised on Wednesday for harnessing the power of evolution to generate novel proteins used in everything from environmentally friendly detergents to cancer drugs, according to the Royal Swedish Academy. The first female winner was Marie Curie, a Polish and naturalised-French physicist and chemist who was honoured in 1911 for the discovery of radium and polonium. She was followed by her daughter Irene Joliot-Curie, who 24 years later was awarded for the synthesis of radioactive elements. British scientist Dorothy Hodgkin was the next winner, in 1964; and after a 45-year gap, Ada Yonath, a crystallographer at the Weizmann Institute of Science in Israel, won for mapping the structure of the ribosome. Arnold was awarded half of US$1.01 million prize, while George Smith, professor at the University of Missouri, and Gregory Winter of the Laboratory of Molecular Biology lab in Cambridge, England, shared the other half. The trio used the same principles of evolution – genetic change and selection – to develop proteins used in a range of fields. According to the academy, the first drug based on this work will be used against rheumatoid arthritis, psoriasis and inflammatory bowel disease. It’s the triumph of a greener chemical industry, which will allow chemists to make enzymes do jobs that nature never intended, such as for industrial purposes. In the early 1990s, Arnold pioneered the "directed evolution" method for engineering new and better enzymes. Arnold earned her bachelor’s degree in mechanical and aerospace engineering at Princeton University and her PhD in chemical engineering from the University of California, Berkeley. Today, she is the director of the Rosen Bioengineering Center at Caltech. Twelve women have won the medicine Nobel, meaning there have been 19 female winners – Marie Curie received two separate prizes – out of more than 600 laureates across the three scientific categories. On Tuesday, Donna Strickland, a professor at the University of Waterloo, Canada, became the third woman in history to win the Nobel Prize in Physics in 55 years. She was awarded along with two other scientists for advancing the science of ultrashort lasers. Frances and Strickland’s achievements come just two days after an Italian physicist Alessandro Strumia was suspended from the European Organization for Nuclear Research (CERN) for saying that physics was "invented and built by men."